In April 2017, Martin Roll was featured in the Russian news website, Report.ru. Report.ru focuses on providing a wide range of analysis and news resources for people who work in the advertising industry. In the interview, Martin Roll shared about his personal global journey and how he made Asia his home for his strategy advisory firm. He also talks about some of the main changes in branding that have occurred in Asia over the past 10 years and some of the key trends in building urban brands in Singapore. Martin Roll started his career in an insurance company and an agency that manages advertising services for retail businesses in Copenhagen after graduating from Copenhagen Business School. In 1992, he started his work in global advertising with Ted Bates (later renamed Bates), where he worked with Ericsson Mobile Phones and corporate brand Ericsson. During that time, Ericsson was considered to be the market leader in advanced technologies before Nokia came about. In 1995 he moved to DDB, where he worked on a global level with McDonald’s in Denmark for four years and was engaged in drawing up marketing and business strategies, communications programs and being part of the McDonald’s Executive Committee. While working for international clients in the 1990s, Martin Roll’s interest in Asian markets grew. To him, Asia was a very conservative society with centuries-old tradition and yet at the same time it was modern, rapidly evolving and committed to success, growth and prosperity. 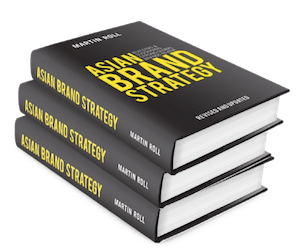 It was his curiosity about the fact that Asian brands were making so little progress at the global level that prompted Martin Roll to start his “journey to the East”. In 1999, he received an MBA from one of the leading global business schools, INSEAD – which also inspired him to further explore Asia and its enormous potential. Martin Roll chose Singapore as his base in Asia and opened Martin Roll Company in 2001 – a time when Asian brands clearly lacked knowledge and experience in globalization and business transformation. 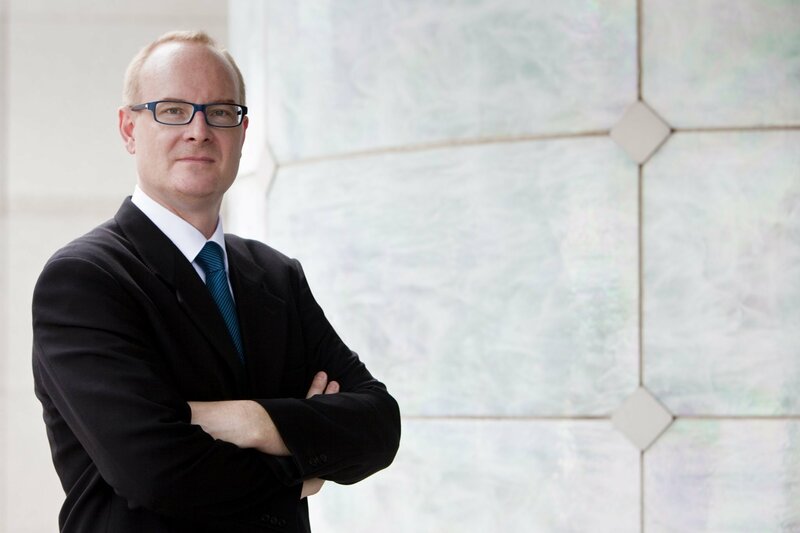 Martin Roll wanted to help companies and brands in various sectors in their transformation and give them valuable advice on how to create a truly global organization. Martin Roll chose Singapore as it was then the only first world country in a region dominated by developing countries. It was and still is a unique place that serves as a regional hub for many Asian and international companies. Singapore boasts a high level of development in almost all aspects – a world-class airport, one of the best airlines in the world, effective education and healthcare systems, management structure and legislation, etc. All these were advantages that he enjoyed, including easy access to international and other Asian markets. Today, 60% of Martin Roll’s client assignments are outside of Asia. Most companies in Asia still believe that branding is advertising, corporate identity and logo design. To take full advantage of branding opportunities, they need to understand that branding is a strategic asset that affects all aspects of the business. Asian markets are actively developing. More and more companies are beginning to realize the strategic importance of branding and its ability to create competitive advantage for the business and increase shareholder value. SONY and Toyota from Japan spent about 30 years building their brands. Korea’s Samsung, LG and Hyundai entered the market in the 1990s, and later they were joined by fast-growing China. The trend of using branding tools for strategic purposes began to acquire relevance in the region in the last 3-5 years. Today, Asian business leaders are well aware of the financial opportunities from the creation of successful brands. Only the methods used to achieve their goals differ. Many companies in emerging markets are focused on capital-intensive industries. However, the most successful companies in developing countries pay great attention to labor resources, the development of network effect and growth, the brand and reputation of the company, rather than on investments and tangible assets. The primary skill set of Asian business leaders lies in finance and technology. Looking ahead, Martin Roll believes that these competencies alone are not enough to support business growth and increase shareholder value. Management must have sufficient experience to plan the development of the brand in order to achieve branding results. Firstly, training for management can give them a common understanding of the branding discipline, its capabilities and complexities. Secondly, companies should elevate employees with extensive experience in marketing and branding to the boardroom. Asian brands can really pose a serious competition to international companies, but for this they need a new look at the market, their resources and capabilities. Many Asian companies are potentially able to increase their profitability by investing in branding at the local, regional and global levels. Some Asian brands are gaining success globally. Yet in Asia – a region of emerging markets in which 2/3 of the world’s population lives, with a rapidly growing middle class and a constantly rising level of income, there are only a few Asian brands that are truly global, which is a cause for concern. Despite the fact that Asia has traditionally engaged heavily in industrial production, Asian brands have the potential to succeed on the international scene in the near future. Every Asian country has its own portfolio of brands that are ready to enter the global market. In every sector, companies are aware of the negative consequences that will occur due to insufficient attention to branding. To create well-known Asian brands true to their roots and origin, Asian business leaders need to be trendsetters. To do this, Asian brands need to capture the spirit of the region, and lead the way by creating that spirit. It is time for Asian boardrooms to rid of the inferiority complex and focus more on what Asia actually has to offer when it comes to brand building. At the same time, they need to take into account consumer behavior patterns – Asia is not a single entity. Rather, Asian countries are increasingly influenced by cultural trends that flow across countries: cinema, music and fashion trends extend are beyond national borders. Brands and branding are closely related to the development of society and culture. The defining aspect of any brand is its identity. A brand’s identity is its business card. It not only helps companies stand out against the competition, but also opens up new opportunities for them to develop unique experiences that would attract customers and build a lasting relationship. Therefore, building a brand identity is of great importance. Companies in Asia can reap significant advantages if they preserve their unique Asian flavor when expanding globally. Nevertheless, they should be careful not to make their identity too general. The level at which companies should retain their Asian personality also depends on which market sector they work in. Classic examples of brands that have succeeded in reflecting their Asian flavor in their services are players in the hospitality market such as Shangri-La, Banyan Tree Hotels & Resorts and Mandarin Oriental Hotels. Singapore Airlines, a truly Asian brand, is one of the most successful airlines in the world today. International brands are faced with the challenge to understand and take into account the specifics of the Asian market, its strengths and weaknesses when positioning the brand, so that Asian consumers can easily relate to them. At the same time, it needs to be sufficiently global in nature, so that the Asian consumer still feels part of the international community. Few brands succeed in maintaining this balance. When Giorgio Armani opened his first store in Beijing, he installed a large shiny red door, which was combined with traditional Chinese design and architecture. However, the people in China did not like it, and it had to be replaced. About 20 million Chinese are interested in luxury goods. Most of them are businessmen and young professionals working in international organizations – so luxury brands get the opportunity to properly build their strategy. This illustrates the fact that Asian consumers still like Western brands and, in most cases, prefer them to Asian counterparts. But will the West be able to stay on top when it comes to competition with legendary brands, claimed by millions of buyers in Asia? Western brands in Asia need to personalize their offerings. They should not only have an attractive personality but also meet the needs of customers. This means that Western producers who want to enter the Asian market should be ready to adapt their strategy. On one hand, they should consider the unique needs and preferences of consumers in different Asian countries, and on the other hand, maintain functional attributes, such as attractive packaging design, general image, etc. Western brands need to carefully approach the cultural characteristics of Asian countries. Despite globalization, every region in Asia has its own characteristics, traditions, beliefs and value systems. Any international brand that wants to succeed in Asia must take these into account in its internal and external initiatives. This approach has contributed to the success of many Western companies in China and India. A classic example of how a global brand has adapted to local markets and shaped an image that reflects local values ​​and belief systems is McDonald’s. To be profitable, Western companies need to cooperate with Asian brands. In today’s fast-paced world, time is money, and many Asian countries have a complex set of cultural features. By cooperating with local players, global brands would find it much easier to gain a foothold in previously uncovered territories by leveraging on the local players’ knowledge of the local market, customers and competitors. In China, for example, Shanghai Automotive Industry Corp and Volkswagen created the Shanghai Volkswagen Automotive Company. In India, within the framework of cooperation of the Japanese company Kawasaki and Indian Bajaj, a successful brand Kawasaki Bajaj was created. McDonald’s, Apple, ZARA, BMW, Mercedes, Giorgio Armani, LVMH, Starbucks, L’Oréal and LEGO are brands which have managed to sustainably integrate into the Asian market and which have adapted to regional tastes and preferences. They localized their strategy, made sure that their leaders included locals who know the region well, and have made every effort to become part of the Asian society. This has given them advantages over their Western competitors. Over the last decade, cities and countries are aggressively asserting themselves to create a memorable image and build sustainable long-term customer relationships. Country branding is a process in which the country claims its position in the minds of its citizens, global customers and other stakeholders. To qualify for such positioning, the country needs to conduct a lot of activities and activities. Let us cite Germany as an example. Throughout the world, Germany is famous for the quality and manufacturing of products on its territory – for example, cars (such as BMW). It is believed that German technology is one of the main competitive advantages of the country. To achieve such a global positioning, Germany provided training for the best engineers, invested in the necessary research and development institutions and advanced technological infrastructure. Additionally, the government simplified legislative regulation, which allowed Germany to become the leader in mechanical engineering. A clear positioning is the final stage of the whole process. All entities in the country – the government, state, corporations, citizens, institutions, investors, etc. needs to strive towards a common goal. Hence, country branding is always a challenge. The “country of origin” effect is how the country in which the brand, product or service was created influences how it is perceived by consumers. Swiss watches, French wine, Danish design, Thai hospitality, Italian fashion, and the purity of the nature of New Zealand are just a few examples. Studies have shown that the effect of the country of origin has a very strong influence on the willingness of customers to buy products, as well as the price points for which they are willing to purchase at. None of these connections were established by chance. Each of the countries invested millions of dollars in the creation of its brand, and then ensured that the image of the brand was constantly brought to the attention of all stakeholders through all possible points of contact around the world. Creating a positive brand image: This is a fundamental step for any country. This not only helps attract tourists, customers, investors and corporations, but also positively affects the positioning of the brand to potential partners around the world. This goal can be achieved through the gradual creation of a basic understanding of the country, various aspects of life in it, and providing visitors with an unforgettable and varied experience with its brand. Brand association: The most successful national brands – Germany, New Zealand and Switzerland – were not created in a vacuum. All these countries have developed a complex network of connections with cities, their cultural characteristics, population and culinary traditions, as well as with the national treasure and nature. Such links can be achieved through the execution of consistent communication strategies, comprehensive tourist packages and providing detailed information about the country to visitors. Offer reliable and affordable products: Once a country achieves success in creating a positive image of the brand and associated associations, it will need to maintain its position by offering reliable and quality products. In this case, a well-implemented public security program, a world-class infrastructure, a reliable legislative environment that protects intellectual property rights, etc. can act in its favor. Such effective measures would allow the country or city to create a reliable and quality image of the brand. Management of complex impressions about the brand: All entities in the country – the government, state, corporations, citizens, institutions, investors, etc. need to take joint, consistent steps in order to provide tourists, businesses and investors with enough opportunities for recreation, development and profit. Every stakeholder interaction needs to be monitored to obtain feedback. The creation of a brand has indeed become a strategic problem for many countries. Gone are the days when only global tourist destinations invested in the creation of brands. Given the ever-changing international competitive landscape and the growing choice for investors, customers and tourists, creating a memorable image of the country becomes a matter of survival for many countries, especially for developing ones, who seek to occupy a strategically advantageous position in a competitive environment. Despite the fact that there are only 5 million people living in Singapore, the country is one of the world’s leading trading powerhouses. For eight consecutive years from 2007 to 2014, Singapore was rated the world’s first in ease of doing business by the World Bank. Singapore is a fantastic example of how even a small country can gain world fame. One of the best examples of brands in Singapore in Martin Roll’s opinion, is Singapore Airlines. The iconic Singapore Girl is well known all over the world. Thanks to Singapore Airlines’s innovations, advanced technologies and excellent service quality, Singapore Airlines contributes to about 20% of Singapore’s brand equity. The key points that need to be considered when creating a city brand are, first, the definition and diversification of sources of competitive advantages. The country first needs to understand what positively differentiates the city against its neighbors, and leverage on these advantages. Secondly, strangely enough, it is important that the city improves its English language abilities. By developing language capabilities of a country’s most valuable resource – its people, it can accelerate the development and expand the possibilities of the city. Thirdly, it is necessary to ensure protection of intellectual property rights and compliance with safety and health regulations. This is important for the formation of a good consumer perception of the city, its companies and brands. Territory branding differs from company branding in the sense that it is heavily influenced by macroeconomic and political events. For example, the way cities are perceived abroad has much in common with the behavior of their government in the political arena. Today, companies and consumers are paying increasing attention to brands. Brands give consumers a sense of identity, influence their emotions and enrich their life experiences. People have a need to surround themselves with things that they know well, which they trust and want to use. From a consumer perspective, the brand is a quality mark and creates a trusting relationship with the manufacturer behind it. Studies in the field of psychology show that brands are durable, because people are not inclined to change their attitude to them quickly. Modern society is overloaded with information, and the average consumer gets much more information than they can digest. Therefore, people tend to simplify their lives, relying on certain heuristics, to minimize the need to search and process information to make informed decisions. Therefore, it is imperative that all brands must rely on both functional and emotional aspects to be successful, otherwise they cannot be considered brands. This interview appeared on Report.ru in April 2017 in Russian.